and a world of surprises in between! This is her cover page of her Blog with more information about her and her books on the supernatural paranormal theme, what I have read and planning to read I agree this author has a special niche of extracting the elements of supernatural and paranormal themes into romantic and haunting tales. Is a supernatural and paranormal story about two strangers who do not know each other. Yet their paths will crossed by mysterious events. They are two separate strangers and like two ships in the night they would of pass each other by if their restless desire to stop hurting from past memories did not ignited them to contact a dating agency owned by a woman some called psychic. The owner has been declared a lucky matchmaker with her streak of good fortune to bring strangers together and their arrangements had developed into life -long relationships on to the path of marriage. These two strangers were so lonely they decided to be adventurous and applied to the same agency and luck or fate their were matched together for a one night tryst. 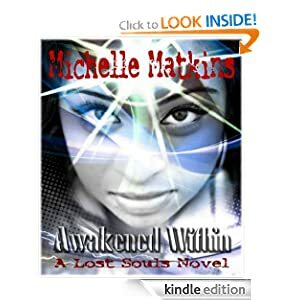 The two main characters, one is a therapist on the brink of burn out, seeking more purpose in her life, her name is Melita. Has not dated in a long time due to work commitment and a disability she received at the tender age of 14. The second character Alex Moncado, is an emotionally wounded man, he too experienced a severe loss 15 years ago on the same day. They responded to the same dating agency and completed the paperwork to arrange a blind date and they are matched together. Their date takes place in a secluded house. The tryst of a one night to release the frustration, desperation and not to be alone syndrome turned into a magical night of secrets and events that made this reader's heart rate increased with anticipation of their bonding together under these unusual circumstances. It was a short and delightful story about not living in the past, letting go of one's fears and face the unknown, so not to not lose an opportunity that maybe knocking on one’s door. 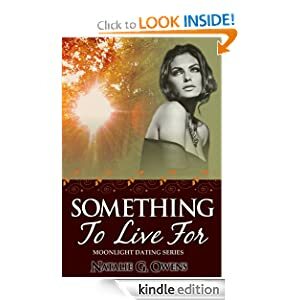 The author has the gift of writing to incorporate events of the past to meet the present in an enlightening tone, as the two characters meet each other and discover through their attraction and beliefs they have allot in common, enough to have closure upon their wounds of the past and strength to move towards the future together. 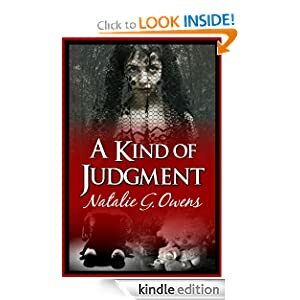 A Kind of Judgment, a short tale of horror. 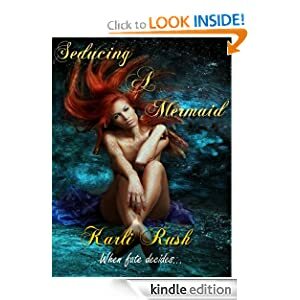 Something to Live for, paranormal contemporary romance.